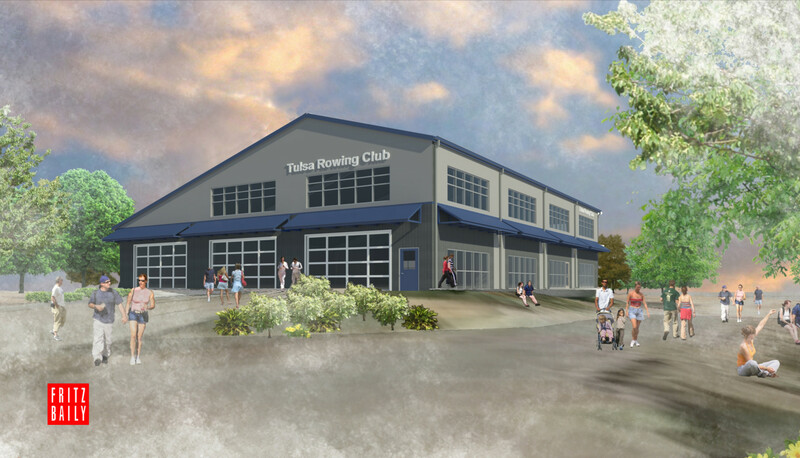 The Tulsa Rowing Club is actively recovering from the damage caused by the arson fire in January 2016. We have made progress towards building a new boathouse. We have set up temporary river-side storage that is allowing us to get back on the water. The drive of our dedicated membership has kept us afloat. An improved boathouse will be built in the same location, just across the river from downtown, and we are very close to finalizing the new boathouse design. We are seeking additional funding to build a structure that will meet the needs of both our adult and youth rowing programs. Look for us to come back bigger and better! The fleet is only 40% of its original size, but we are making the most of the limited capacity. Members have the opportunity to row both morning or evening schedules — and this Summer has provided some terrific rowing conditions. New rowing shells have been purchased to fill out our fleet again. Interested in supporting our fundraising efforts? Donations can be made using the Donate button below. We would appreciate it! Keep an eye on the river as we continue to rebuild. © 2016 Tulsa Rowing Club.